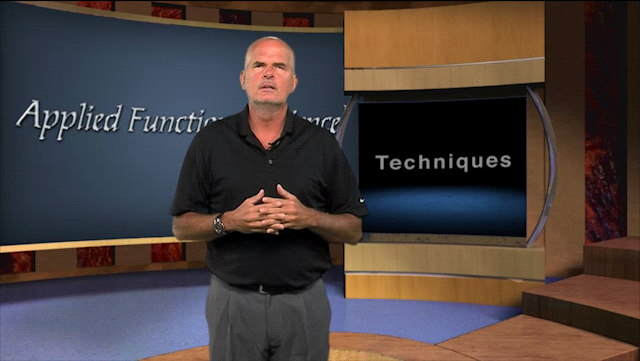 Our Gray Institute online educational module entitled An Overview of Applied Functional Science™ is presented in three logical parts. Part One describes Applied Functional Science™ as the convergence and integration of the physical sciences, biological sciences, and behavioral sciences. These three sciences are individually defined and their significance to their contribution to Applied Functional Science™ is outlined. In Part One you will gain an appreciation for how Applied Functional Science™ takes us on a journey. It is a journey where we gain a wonderful understanding and appreciation of the world we live in, of our human body, and how it interacts with the world we live in; it is a journey where we also understand the power of the human mind and human spirit and our opportunities to interact and encourage each other. Applied Functional Science™ becomes this ongoing journey that allows us to take advantage of our passion, our purpose, and our mission to literally enhance the lives of others. Part Two introduces the powerful process of Applied Functional Science™. The scientific truths of Applied Functional Science™ – the principles of the physical, biological, and behavioral sciences – form and serve as the foundation for the process of Applied Functional Science™. The process of Applied Functional Science™, with our principles of truth, our strategies of guidance, and our techniques of action is presented in detail. You will be encouraged and empowered with our process as it is scientifically based, evidence-based, and purpose-based. Within Part Two we reveal our ultimate mission, the ultimate goal of our Applied Functional Science™ journey – to encourage transformation through the creation and management of personalized environments with the utilization of the authentic drivers of Applied Functional Science™ to facilitate the desired Chain Reaction™ function. In Part Three of An Overview of Applied Functional Science™, we introduce multiple examples of the principles of Applied Functional Science™. These principles (or truths) of Applied Functional Science™ come from an understanding of the physical sciences, biological sciences, and behavioral sciences. As our principles are introduced, our strategies that emanate from our truths of function are logically revealed. We quickly realize that our abilities to create environments and utilize appropriate techniques takes on a whole new and exciting dimension with our focus on developing strategies that transform our truths into actions. We introduce you to some of the primary principles of Applied Functional Science™ with an appreciation that there are a significant number of other principles that make up our foundation of understanding. This Gray Institute online educational module will inspire you towards an ongoing journey through Applied Functional Science™ to learn the authentic truths, develop transformational strategies, and utilize powerful techniques that will allow you the unending opportunities and privileges to literally enhance the lives of others. 1. Understand Applied Functional Science™ as the convergence and integration of the physical sciences, biological sciences, and behavioral sciences. 2. Gain an appreciation for how Applied Functional Science™ takes us on a journey where we gain a wonderful understanding of the world we live in, our human body, and the dynamics of our interactions. 3. Realize the passion, purpose, and mission of the journey of Applied Functional Science™. 4. Fully appreciate how Applied Functional Science™ provides us the privilege of empowering, engaging, and enriching the lives of others. 5. Be able to list the component sciences that make up the physical sciences and describe their relevance to Applied Functional Science™. 6. Be able to list the component sciences that make up the biological sciences and describe their relevance to Applied Functional Science™. 7. Be able to list the component sciences that make up the behavioral sciences and describe their relevance to Applied Functional Science™. 8. Recognize and value how Applied Functional Science™ forms the foundation to give us ongoing abilities to serve others and to create environments in order to enhance the lives of others. 9. Discover how the scientific truths of Applied Functional Science™ form and serve as the foundation for the process of Applied Functional Science™. 10. 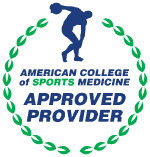 Fully appreciate that the powerful process of Applied Functional Science™ is scientifically based, evidence-based, and purpose-based. 11. Understand the process of Applied Functional Science™ as the transformation of principles of scientific truths into functional strategies of guidance, and the transformation of strategies into unlimited techniques of action. 12. Fully appreciate that the ultimate goal of our journey of Applied Functional Science™ is to encourage transformation through the creation and management of personalized environments with the utilization of the authentic drivers of Applied Functional Science™ to facilitate the desired Chain Reaction™ function. 13. Explain in detail the powerful process of Applied Functional Science™ with principles being the why of function, the strategies being the how of function, and the techniques being the what of function. 14. Be introduced to the key physical science principles and strategies of Applied Functional Science™, including gravity, ground reaction force, mass, and momentum, as well as examples of their functional applications. 15. Realize the significance of three-dimensional space, three planes of motion, and the universal law of three-dimensionality. 16. Be introduced to the key biological science principles and strategies of Applied Functional Science™, including Chain Reaction™, 3D Matrix, synergistics, dynamics, and variability, as well as examples of their functional applications. 17. Realize the significance of conscious intents with subconscious reactions, the path of least resistance, and the symptoms/compensations/cause model. 18. Be introduced to key behavioral science principles and strategies of Applied Functional Science™, including authenticity, individualism, success, comfort, and fun, as well as examples of their functional applications. 19. Realize the significance of physical drivers, biological drivers, and behavioral drivers. 20. Recognize the value and need for Applied Functional Science™ language (nomenclature) based on consistency, completeness, and communication. 21. Be inspired to journey through Applied Functional Science™ to learn the authentic truths, develop transformational strategies, and utilize powerful techniques to allow for unending opportunities and privileges to enhance the lives of others.